The Boris Paichadze Dinamo Arena is Georgia’s national football stadium and home to Dinamo Tbilisi. Properly refurbished since Soviet times, it has a capacity of 54,500. Still commonly referred to as the Dinamo Stadium, it was rebuilt during the club’s golden era and renamed after one of its greats, 1940s goalscoring hero Paichadze. 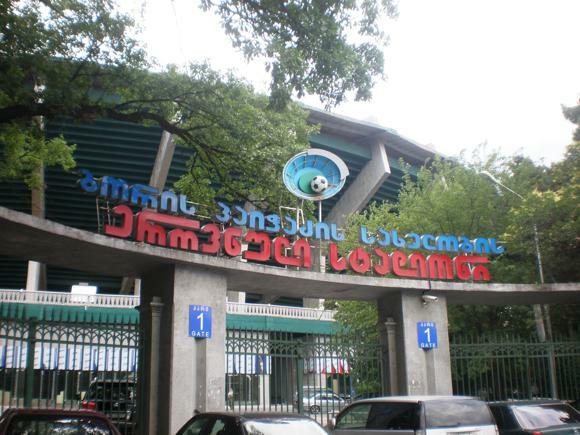 In Paichadze’s day, the ground was called the Beria Dinamo Stadium, and was built by Archil Kurdiani in 1936. His son Gia teamed up with him to work on the redesigned arena in 1976. Kurdiani Sr’s original ground held 23,000, raised to 36,000 with expansion 20 years later. 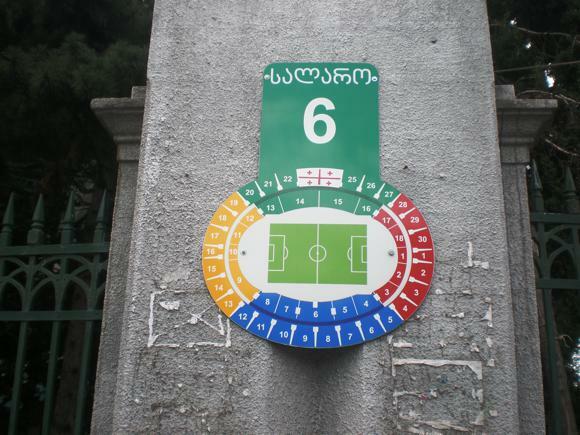 For the father-and-son rebuild, this was more than doubled, curving tiers surrounding a running track and the pitch where Dinamo Tbilisi destroyed Liverpool 3-0 in 1979. A season later, they beat West Ham on their way to winning the European Cup Winners’ Cup. 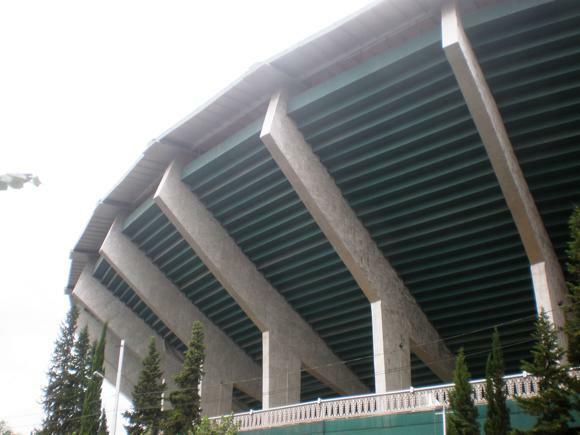 Since the 2006 all-seated reconstruction, the national side cannot match the 75,000-plus crowd registered for the visit of Germany in 1995 – local sources even give the figure as high as 110,000. These days, prestigious foreign opposition is usually a rarity, with the stellar exception of the Barcelona-Sevilla UEFA Super Cup curtain-raiser to the 2015-16 season, in front of 52,000. The arena is divided into four colour-coded areas, red behind the south goal nearest to Tsabadze Street, yellow behind the north goal by Metreveli Street. On the sidelines, green signifies the East Stand by Tsereteli Avenue, blue the West Stand by Kipiani Street. Away fans are usually allocated the corner of the red South Stand nearest the West Stand, sectors 3 and 4. 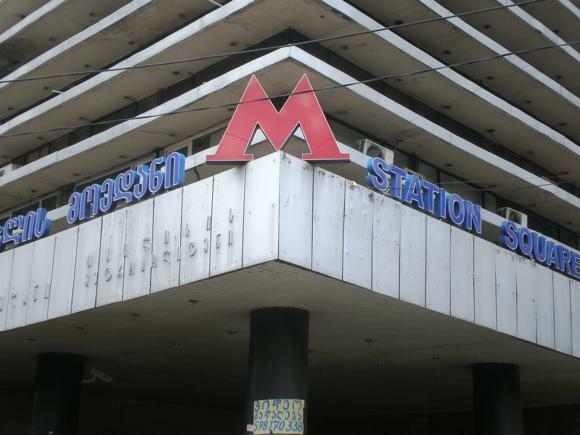 The nearest metro station is Vagzalis Moedani, translated as Station Square, the crossing point of the two lines. If coming from central Rustaveli, leave the train to your left and use the exit with the sword-topped arch. 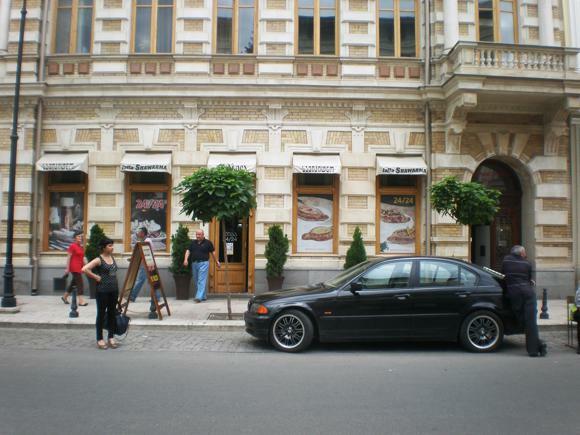 At street level, turn right down Tevedore Megvedeli Street, then first left down Tsabadze. You’ll see the stadium to your right. Bus Nos.31 and 37 also run from Rustaveli to Vagzalis Moedani. For international fixtures, visiting supporters should contact their local FA for tickets. The Georgian FA can be contacted on +995 32 291 2650 – their website is Georgian-only. Dinamo Tbilisi sell advance tickets through the online agency Biletebi but games rarely sell out. 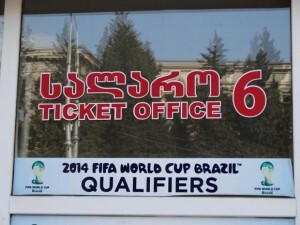 Tickets usually go on sale in the week leading up to major matches at the stadium ticket booths and sometimes at newspaper kiosks outside metro stations. Prices range from GEL 2-5 for domestic games, GEL 5-20 Lari for more prestigious international matches. There is no official store at the stadium but several small sports shops opposite the stadium stock national team replica shirts. The stadium contains basic snack bars serving soft drinks and sunflower seeds nibbled by locals to alleviate big-match stress. 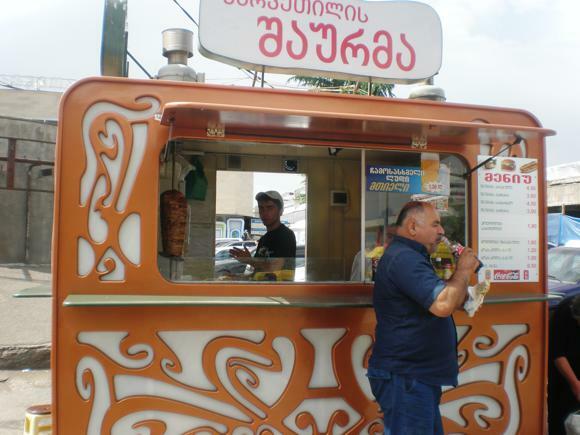 Nearby is a bustling, dilapidated commercial area near the main train station and a sprawling bazaar with strolling hawkers, pavement stalls and kiosks selling beer and snacks such as the staple Georgian dish khachapuri, cheese-filled bread. 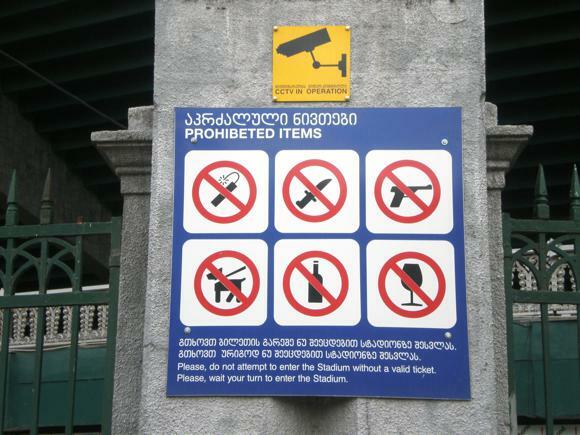 The scruffy surroundings mean that this is not a great location for eating or drinking, though there is a simple café-bar right at the stadium entrance, Katkha (2 Tsereteli Avenue), with outdoor seating in summer. Visitors might prefer to visit the station mall or take a 15-minute walk to renovated shopping strip Agmashenebeli Avenue (also known by its Soviet name Plekhanov), with plenty of Georgian and Turkish outlets. 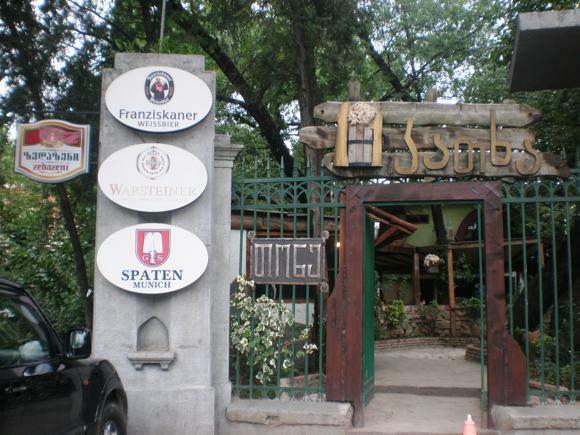 For Georgian, Machakhela (No.106) is a 24-hour tavern offering local specialities such as khinkali (meat dumplings), mtsvadi (barbecued pork or lamb) and, of course, khachapuri. 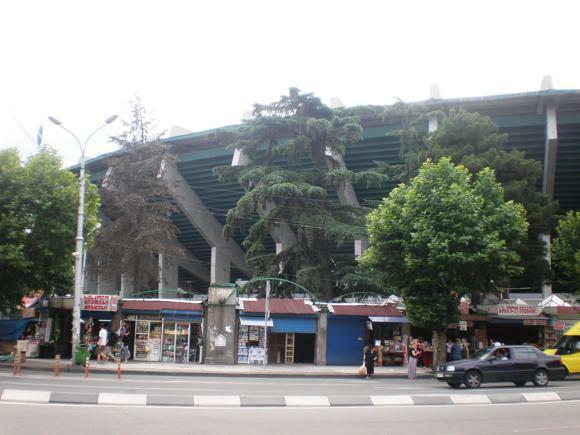 There’s a branch on the other side of the stadium at 77 Tsereteli Avenue. 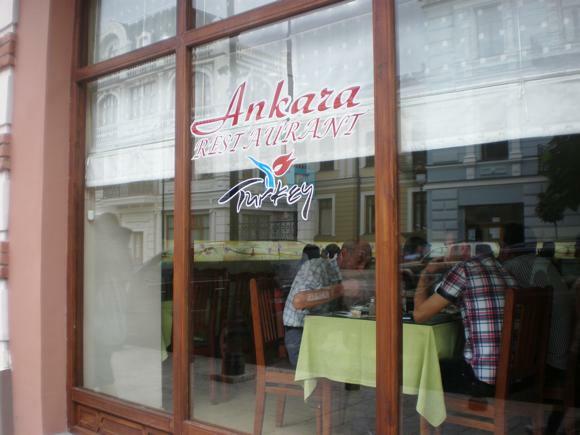 For Turkish, Ankara (No.128) serves decent Turkish cuisine from its point-and-pick counter display, along with soft drinks.